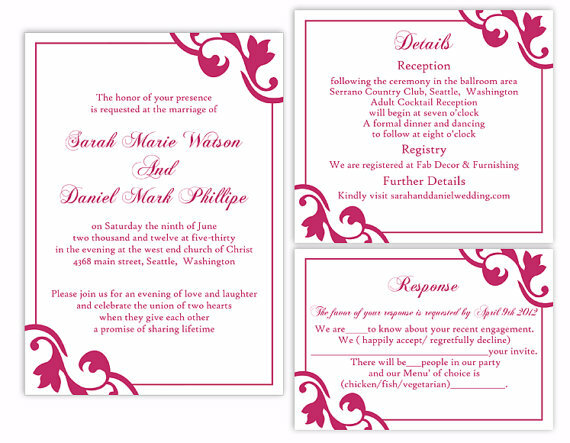 Instant Download Wedding Invitation TemplateYou will receive files from Etsy once you order and payment procedure is completed.The listing is for Editable MS Word files of Wedding Invitation set. Just Download, Edit & Print. ****Font (size, color and style) and wordings are 100% editable. ****Kindly let us know if you require any other addition with this set.Color change and size change are free.